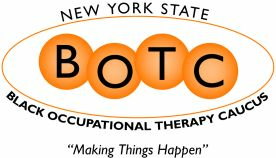 PLEASE CONTACT OCCUPATIONAL THERAPY FOR KIDS TO REGISTER! This is a FUN, dynamic, interactive hands-on workshop that will focus on using creative ideas and techniques when using sensory motor strategies to be used with your pediatric population. This workshop is geared towards stimulating the "body sensory systems" to address sensory processing deficits. Bring your yoga mat and/or towel! Today you are your student on your caseload!! •To learn treatment interventions that you can use during home based therapy or in the clinic. •Demonstrate these interventions during lab time to experience the sensory input. •Be able to grade up or down and adapt each one of the treatment activities. •Learn to build in exciting themes for each activity for a stronger therapist-patient relationship so the child is always wanting to come see you for therapy. •Have a large arsenal of motivating and fun Sensory Diet Home Activities to prescribe to families to make faster progress with your patients. Occupational Therapists, COTAs, Physical Therapists, PTAs, Special Educators, other Early Childhood Developmentalists facilitating movement to facilitate learning in your lessons!